Pro-abortion Democrat Cory Booker complained that Republican pro-life policies are “literally” causing “people’s death” this week as he campaigned for president. The New Jersey senator has a 100-percent pro-abortion voting record and recently opposed a bill to require basic medical care for viable infants who are born alive after botched abortions. He blasted Trump and pro-life Republicans for enacting policies that “literally … could cause people’s death.” One of his examples was the efforts to defund Planned Parenthood, which kills more unborn babies than any other abortion group in America, the Washington Free Beacon reports. Booker’s example of Republican policies that could cause people to die was “attacking” Planned Parenthood, the nation’s largest abortion provider, which performed 332,757 abortions in fiscal year 2017. The Trump administration is working to save lives by defunding the abortion giant Planned Parenthood. In February, the Trump administration finalized a new Title X rule that requires health care entities to completely separate abortion from their taxpayer-funded services. Planned Parenthood, which receives about $60 million annually through the program, already has said it will not comply. The administration also cut about $100 million from Planned Parenthood’s international arm through the Mexico City Policy, which Trump signed during his first week in office. Planned Parenthood’s “core mission” is aborting unborn babies. Its new president, Leana Wen, recently admitted as much. 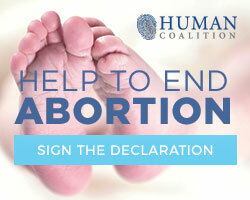 The abortion chain performs about 330,000 abortions every year, more than one third of all abortions in the U.S. Yet, pro-abortion politicians like Booker continue to mislead the public with claims that the abortion chain is somehow lifesaving.